The decline in oil prices will relieve the pressure on Egypt’s budget, but can it be sustainable? 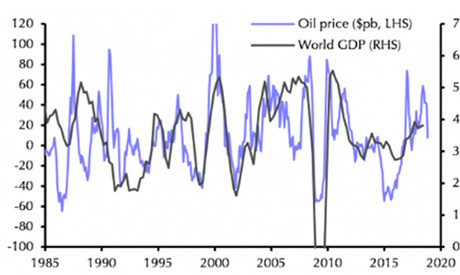 The decline in global oil prices might seem like good news for the budget of an oil-importing country like Egypt. However, a Shuaa Investment Bank report released a few days ago warned against taking the decrease in oil prices for granted. Oil, much like any commodity whose price is determined by political and economic factors, remains open to multiple scenarios regarding future prices. The report said the Organisation of Petroleum Exporting Countries (OPEC) had agreed to reduce oil production by 1.2 million barrels per day (bpd), which could have an effect on prices, as could changes in the political scene in the US. 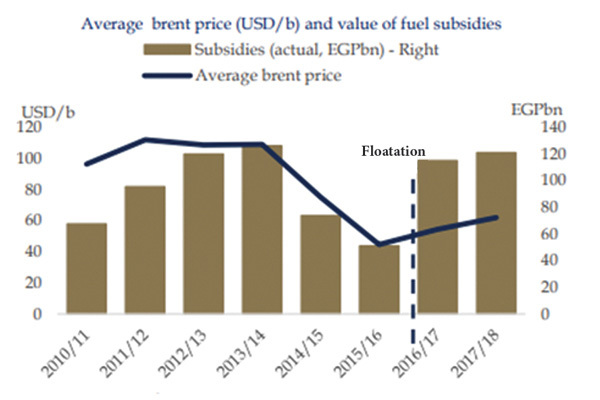 Such factors threaten Egypt’s plan to reduce its budget deficit and achieve a primary surplus, especially with the unclear stance of the Mustafa Madbouli government towards hedging mechanisms against fluctuations in oil prices, the report said. Media reports cited government sources in early October as saying that the government was preparing regulations to apply hedging mechanisms against the dangers of fluctuations in the prices of basic commodities and oil. The subsequent reduction in oil prices led the government to postpone its plans. Omar El-Shenety, managing director of the Multiples Investment Group, said that fluctuations in global oil prices were linked to factors of supply not demand. Demand for oil is tied to global growth, El-Shenety told Al-Ahram Weekly, with indicators including industrial production figures in China, share prices in the US stock market and International Monetary Fund (IMF) forecasts. All these point to a slow down in world growth rates, he said. Saudi Arabia is the major decision-maker within OPEC. “At the same time, the US is pressuring Saudi Arabia to reduce its oil prices in an attempt by the US president to show how much the US economy can benefit from his policies supporting the kingdom,” El-Shenety said. Egypt’s budget estimates oil prices in the global market to be $67 per barrel this year. According to the financial statement of the 2018-19 budget, a one dollar increase in the price of oil barrel translates into a LE4 billion increase in the budget deficit. The negative repercussions of any rise in oil prices on the budget also mean that any decrease in them will have positive results, Shuaa said in a statement addressed to clients in mid-November. The statement said that if oil prices stabilise at a low level, it will be possible for the government to achieve its goal of putting a brake on the budget deficit within the limits of 8.6 per cent, while achieving a primary surplus — the difference between revenues and expenses, excluding what is spent on interest rates at two per cent. This is so due to reductions in subsidies on oil products and decreases in foreign-currency spending on importing oil products. Should the government liberalise fuel prices further, this could decrease the effect of fluctuations in oil prices on the budget because local prices will be more closely linked to international ones, passing fluctuations in global prices onto consumers. The Shuaa report also mentions challenges to the budget other than increases in oil prices, such as the rise in foreign interest payments and the continuity of high interest rates. Foreign interest expenses reached 10 per cent of total expenses in the first quarter of the 2018-19 fiscal year. The report said that Egypt’s increased international debt placed the state budget at the mercy of currency fluctuations, increasing the cost of Egypt’s borrowing from the international markets. A Capital Economics report said the pound could depreciate against the dollar at the end of 2019 to reach LE19 per dollar. The depreciation could continue in 2020 to reach LE20 per dollar, it said. This fiscal year’s budget assumed that the average return on treasury bills and bonds would be 14.7 per cent, compared to the previous 18.8 per cent. If they remain at the current level, interest payments might exceed LE591 compared to the projected LE541 billion. The Central Bank of Egypt’s (CBE) Monetary Policy Committee decided in its last meeting of 2018, held a few days ago, to fix for the sixth time interest rates at their high current levels of 16.75 and 17.75 percent for deposits and lending, respectively. The move is believed to be a drawback of the Committee’s policy to ease monetary policy, adopted at the beginning of 2018 when it lowered interest rates by two percent.